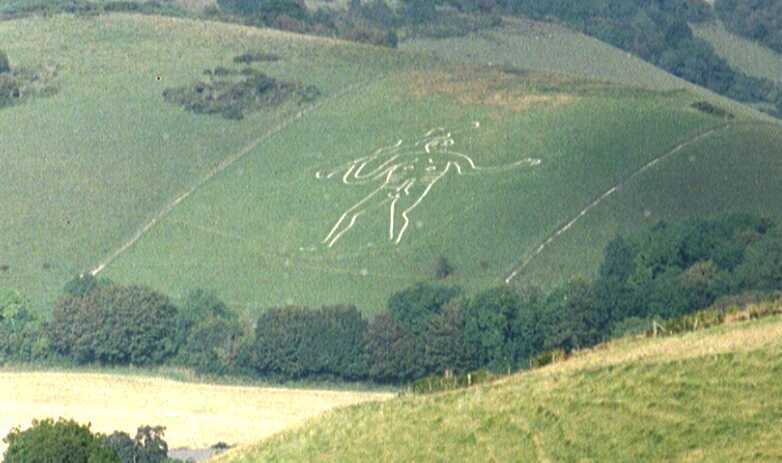 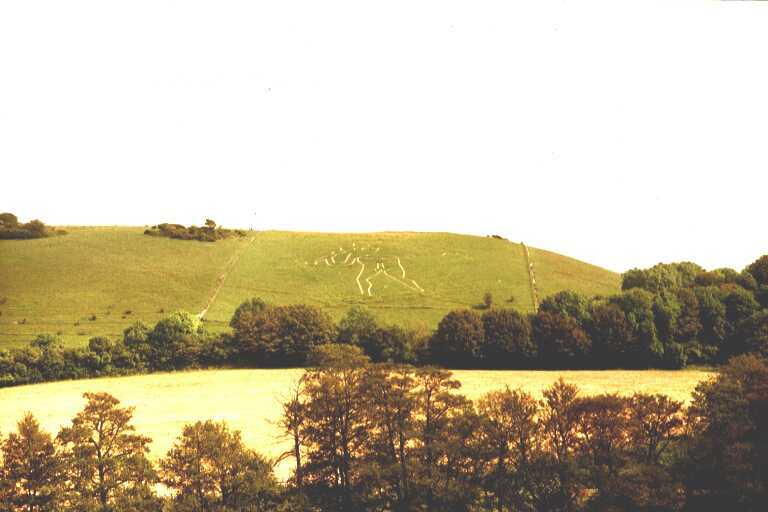 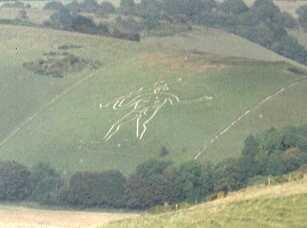 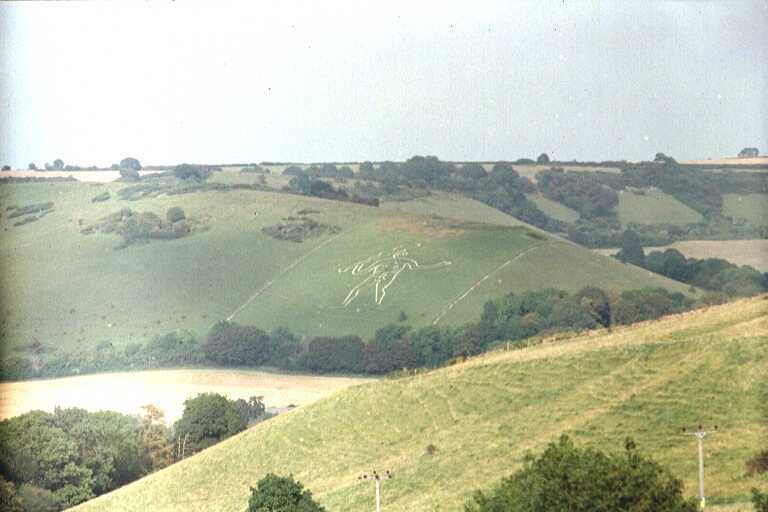 The Cerne Abbas Giant is thought to date from the Iron Age, or maybe even the Romano-British period. 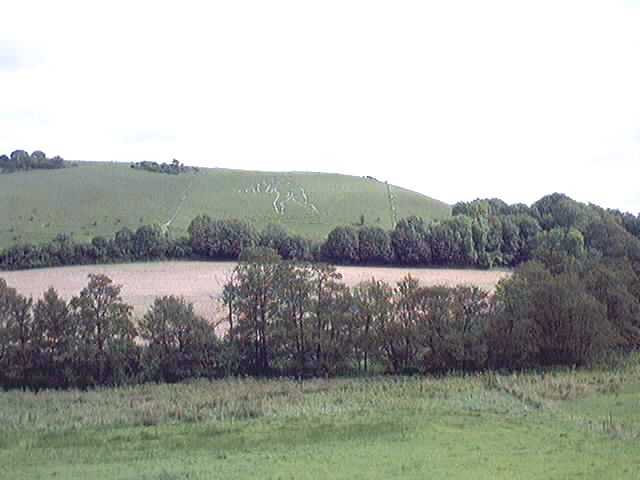 Nearby, there are well-preserved remains of an Iron Age settlement and fields, together with with a number of boundary ditches, storage pits and rubbish pits. 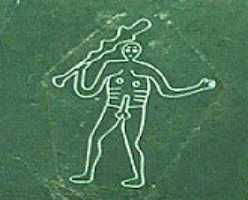 The giant is believed to be a tribal "totem" and fertility symbol... given the size of his "manhood" you can understand why! 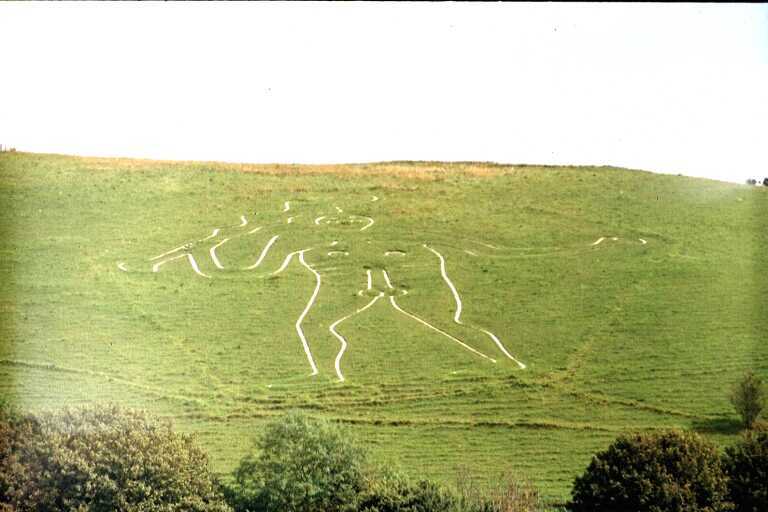 Whatever the Giant's original purpose was, people are still fascinated by him... and especially by his huge member! 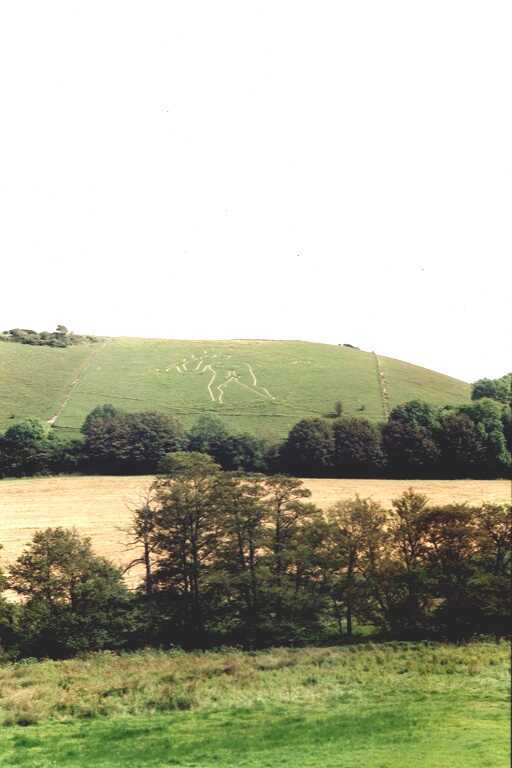 While I was taking some of these photos, two young women arrived in the car park, and proceeded to photograph each other against the backdrop of the giant, posed with their hands raised in such a way that they appeared to be holding his generative organ... and a popular item on sale in local souvenir shops is a clock with the giant's figure on its face, and his willy as the second hand!